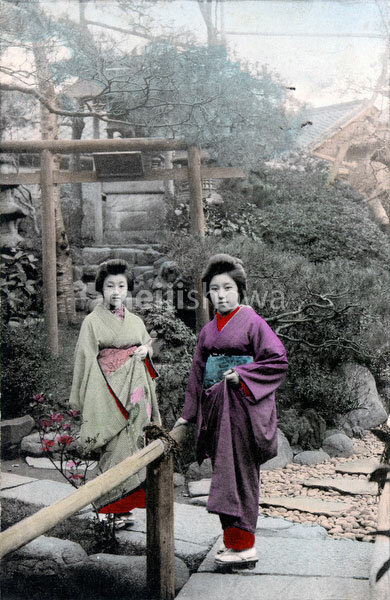 Two young Japanese women in kimono and traditional hairdo in a Japanese garden. A sacred torii gate can be seen in the back. The cancelled postmark is dated 1910.